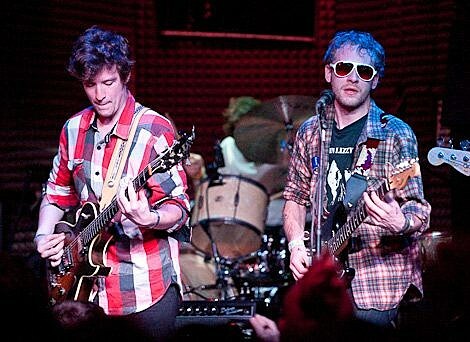 MG&V, the new project of John McCauley (frontman of Deer Tick), Taylor Goldsmith (frontman of Dawes), and Matt Vasquez (frontman of Delta Spirit), made their debut (not counting a private performance they taped for IFC one day earlier) with a late-night set to a capacity crowd at Austin’s Ale House on Friday, March 19th. 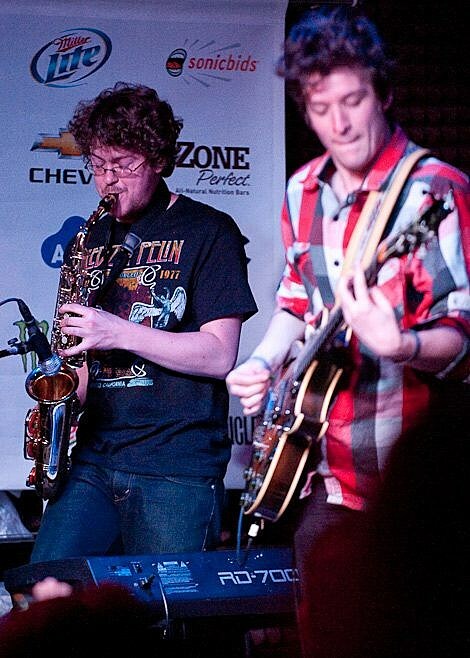 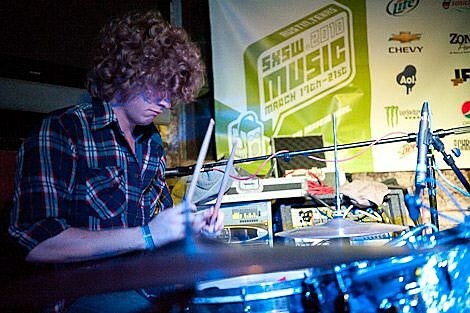 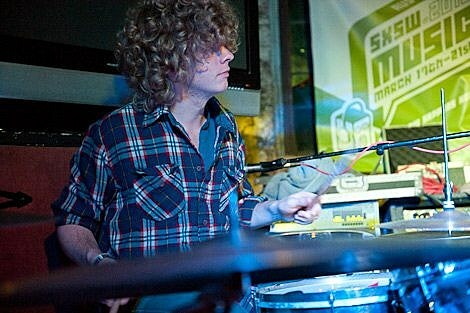 Taylor’s brother and bandmate Griffin played drums. 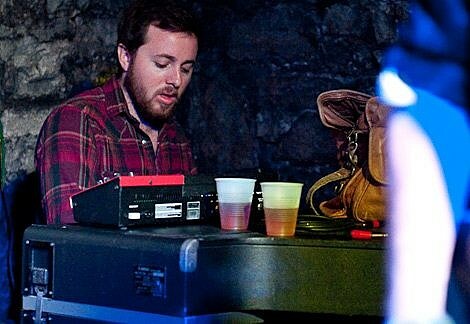 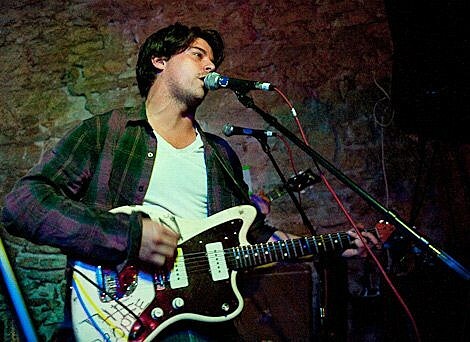 Delta Spirit’s Kelly Winrich played keys. 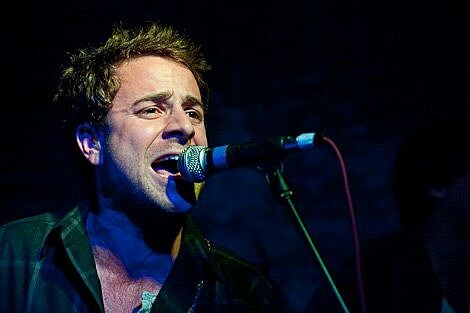 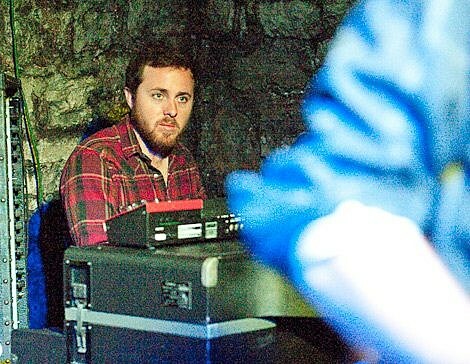 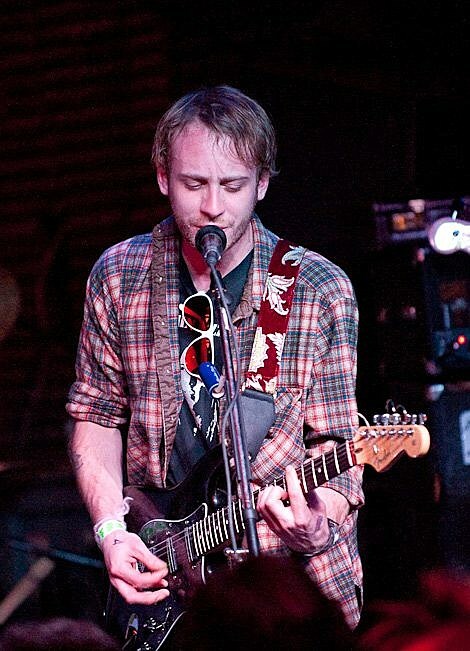 Deer Tick family member Jonny Corndawg helped perform a song he also recorded and wrote with the group. 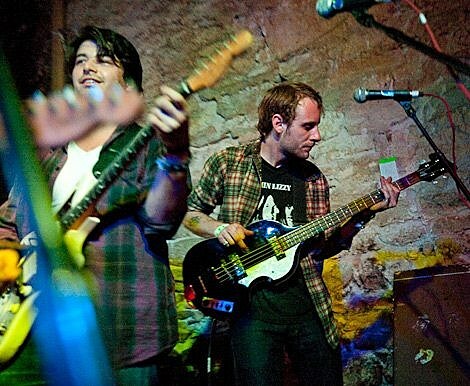 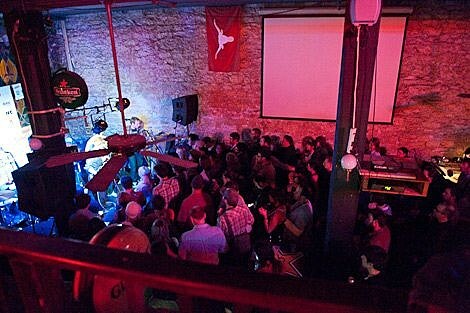 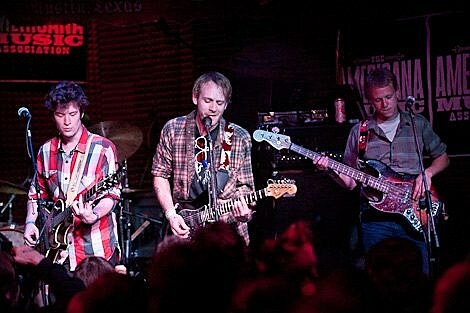 As Duke Street Blog points out, “The set was filled with heartfelt Americana tunes, all featuring a healthy splash of CSN-like harmonies.” Deer Tick actually played a set an hour earlier at Lucero’s SXSW showcase at Red Eyed Fly (where they were joined by Nikki Darlin for a song). 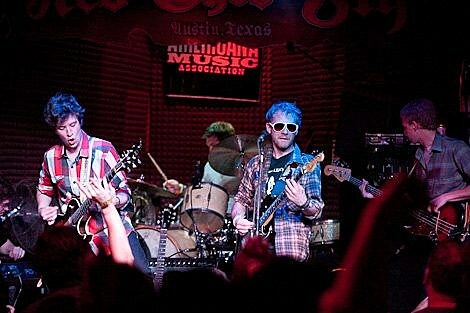 John ran right from show to show (as did Tim and I) (luckily we all saw Lucero earlier that same day). 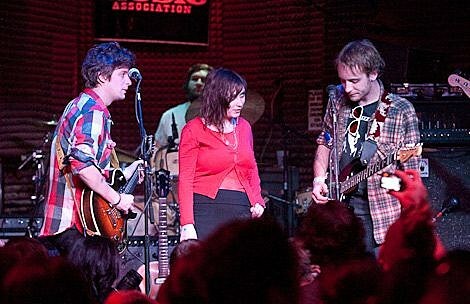 More pictures and a bunch of videos from both shows are below. 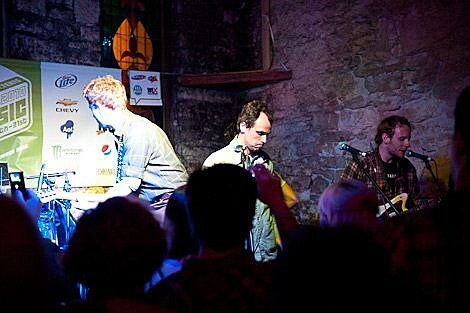 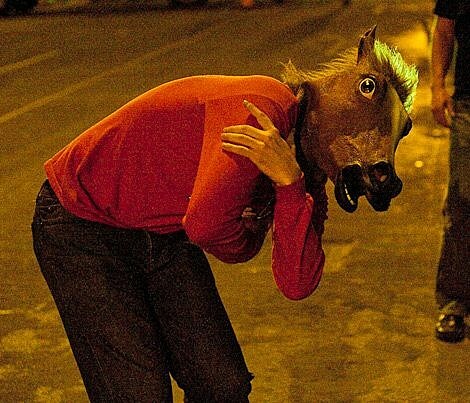 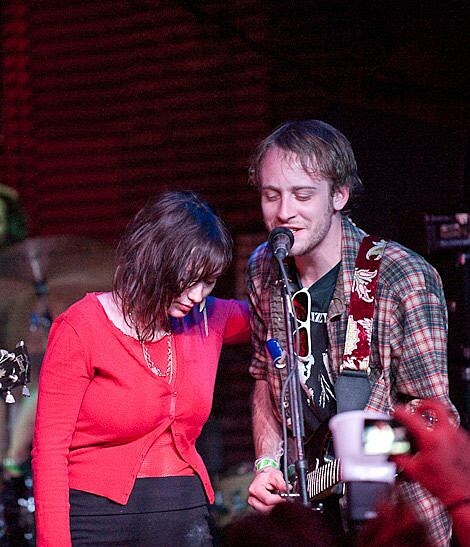 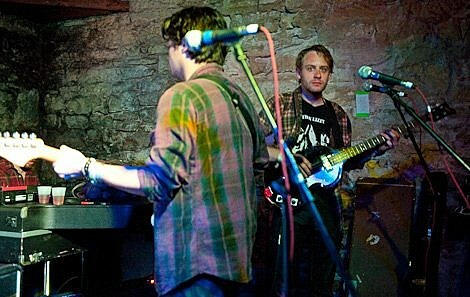 Their regular bands all made their fair share of appearances at SXSW this year too. 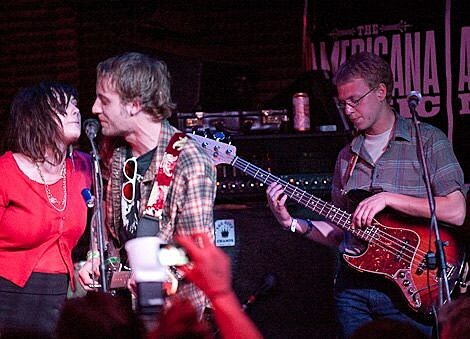 Deer Tick (who played BV shows in 2009 and 2008) even had their own unofficial showcase this year at Threadgill’s (with Cordawg, Those Darlins, Liz Isenberg, Chris Paddock and others on the bill). 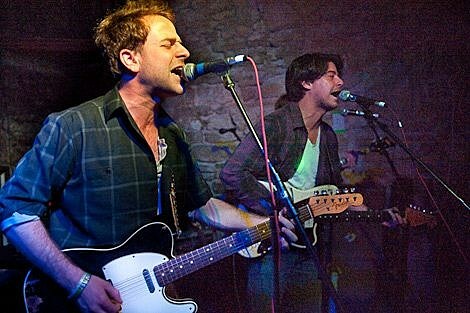 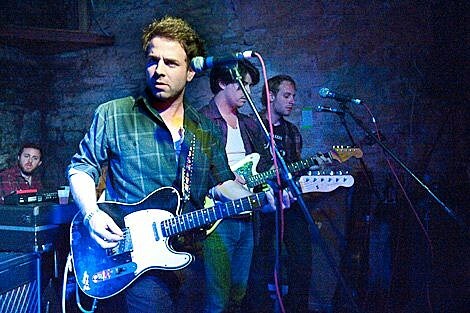 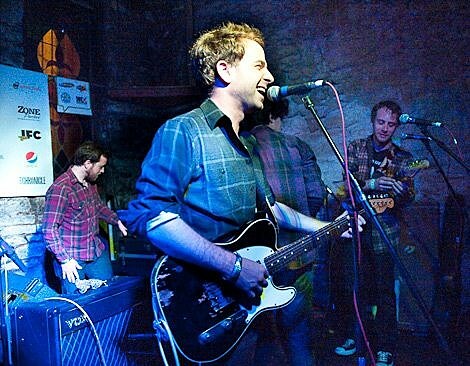 One of Dawes’s shows was at the official BrooklynVegan showcase. 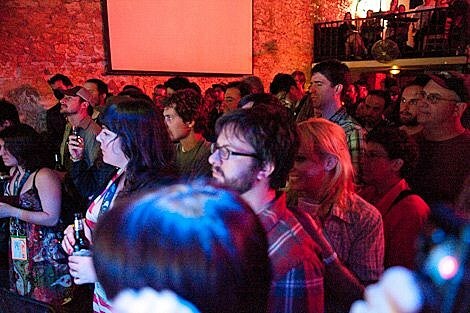 Various videos from the week below. 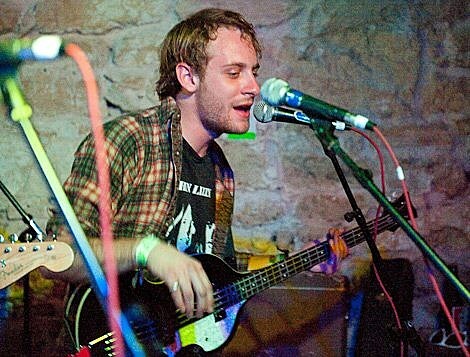 Coming up, Deer Tick have a huge list of tour dates, which include shows with Those Darlins and run with Dr. Dog that makes a May 15th stop at Terminal 5. 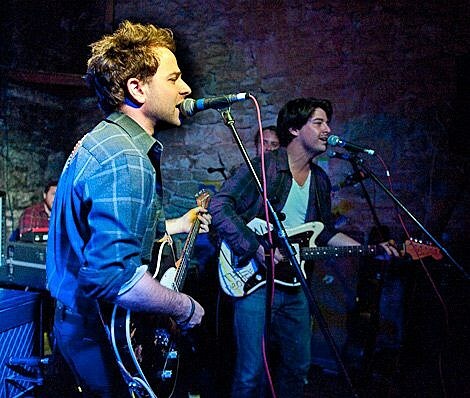 Dawes‘s shows include opening for Josh Ritter at Town Hall on May 19th and a June tour with Edward Sharpe & The Magnetic Zeros. 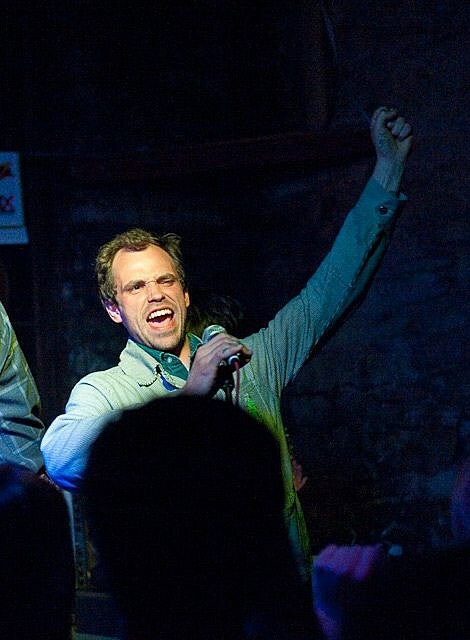 Jonny Corndawg will play shows in April and June that include April 7th at Pianos, April 8th at Knitting Factory with Tim Barry, and June 11th with David Allan Coe. 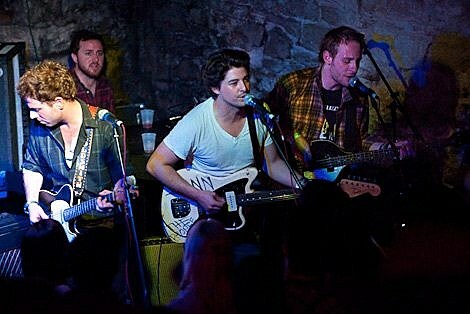 All dates below. 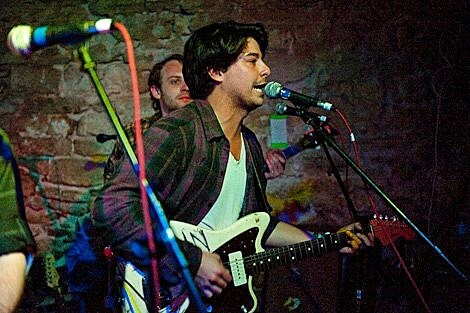 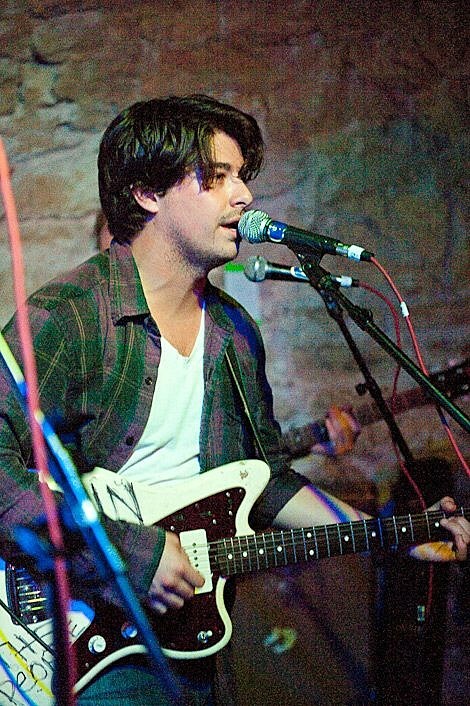 Last but not least, Delta Spirit have announced a run of tour dates set for June and July. 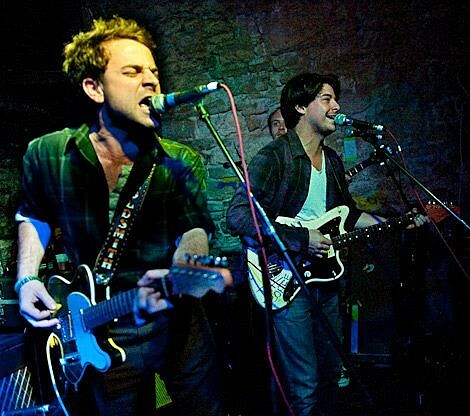 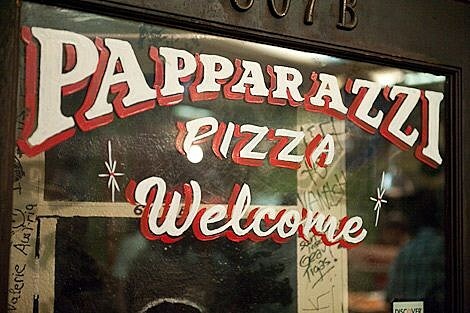 They’ll bring along Ezra Furman & the Harpoons and The Romany Rye for those. 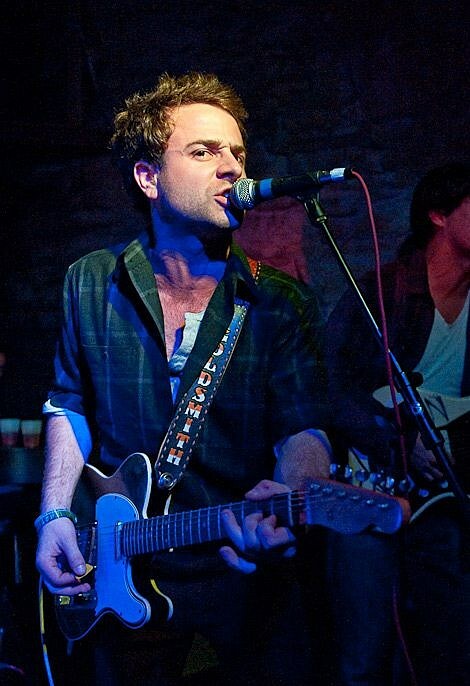 The three bands play Bowery Ballroom on June 30th and Music Hall of Williamsburg on July 1st. 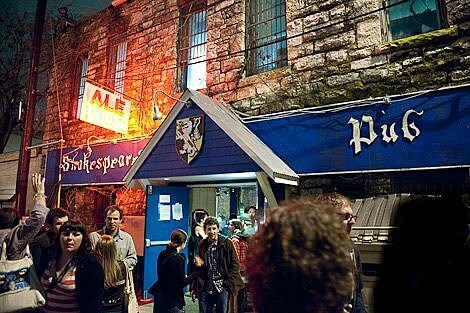 Tickets just went on sale. 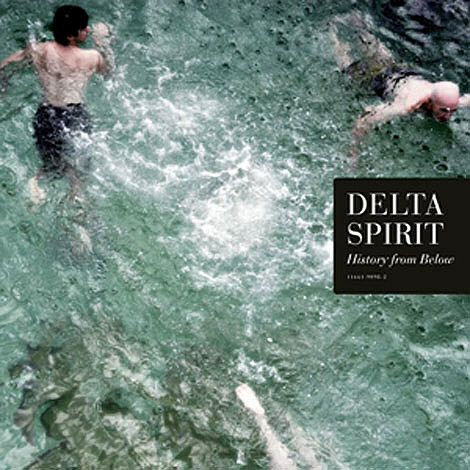 Delta Spirit’s new record, History From Below, is set to come out June 8th on Rounder Records. 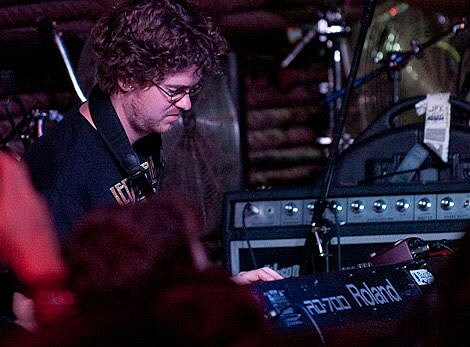 The album was produced by My Morning Jacket’s keyboardist Bo Koster and Eli Thomson, and you can check out the album art and tracklist below. 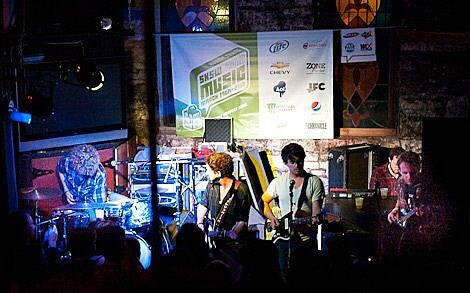 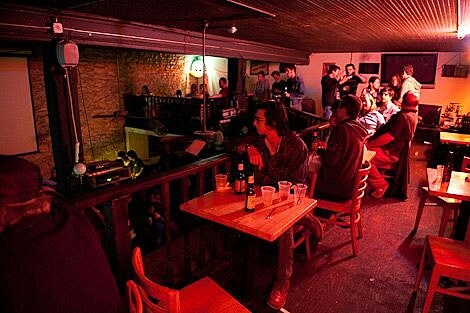 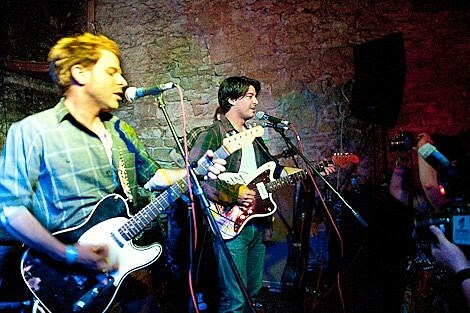 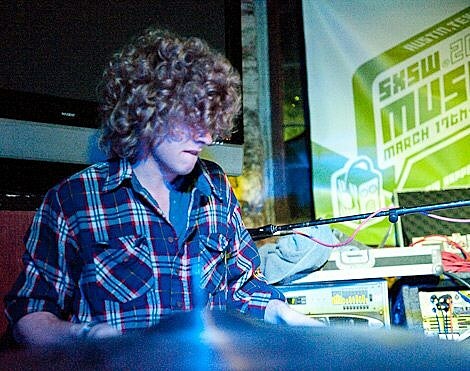 MG&V – Daydreaming – SXSW 2010 from DUKE STREET on Vimeo.